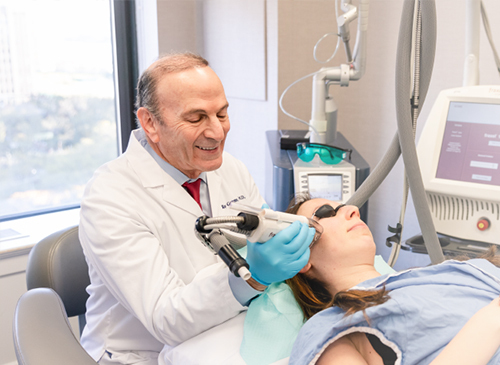 The dermatologists at our center are experts in skin rejuvenation utilizing laser skin resurfacing, chemical peels, injectable fillers and Botox for a natural and non-surgical approach to achieve a smooth skin texture with a more youthful appearance. Our New York dermatologists are world-renowned experts in their field and have participated in the clinical trials to develop many of the cutting edge procedures now commonly used for skin rejuvenation. If you're interested in exploring your treatment options, call our office to schedule an appointment today.